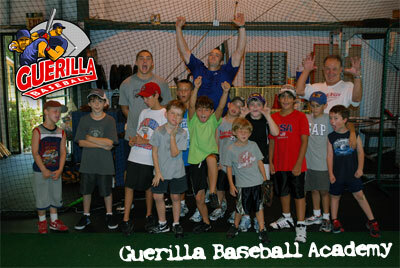 Guerilla Baseball Academy will be hosting a three day baseball camp after the Mardi Gras celebration. The dates will be March 9th-11th. The times will be 10am-1pm each day. The location will be Guerilla Baseball behind K-Mart in Mandeville. The ages are 6-13years old. You can sign up here or at the facility. When signing up online select “Guerilla Baseball Camp” where it asks for “Membership Type.” You can make payment online or at the facility as well. The price for the camp is $99. * We have drinks available for purchase at the facility. If it is your first time attending a Guerilla Baseball Function you will be asked to fill out our liability waver. We are excited about this Mardi Gras Camp and look forward to seeing you there. Any questions please contact us above or call. My son is 8 years old and I am interested in your Mardi Gras camp but I do not see how I can sign him up and pay for it online. Please let me know. Are there any available spots left for your Mardi Gras camp next week? My son is 7 years old.